hi people! boy, did we have fun last weekend-at the radherb study group planning meeting and tree walk. we talked, we ate, we collected branches. we observed and/or collected black haw, willow, alder, cottonwoood, aspen, black walnut, spicebush. we became rather tangled in wild roses. someone fell into a big hole. we were lucky to have a warm and sunny day-relatively warm and sunny-to muck about outdoors. it is nice to enjoy plunging into the woods when deer ticks are not active and poison ivy is sleeping. in other news, perhaps you have heard of the good fight herb company? probaly no, cause it’s brand new! 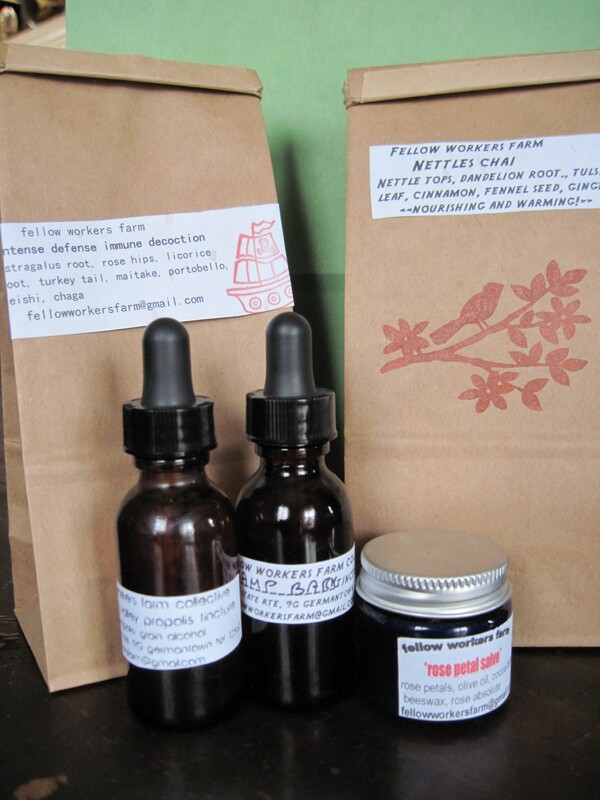 if you are keen on joining the fwf herbal csa this year you can sign up though local harvest. the info is there and you can even pay there! go to http://www.localharvest.org and search for fellow workers farm. (edit: see link above!) 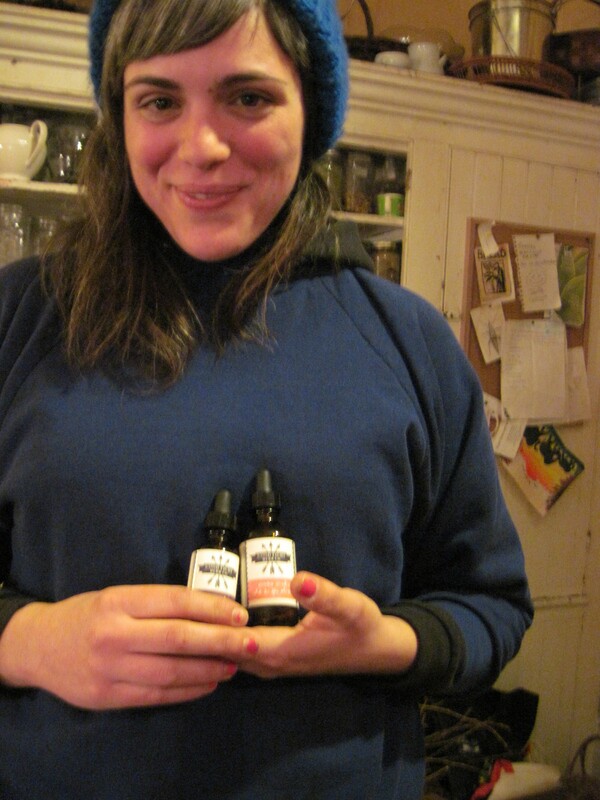 it is a once-a-month csa with pickps in germantown and at wild hive farm in clinton corners. i am open to a third pickup site and shipping-any suggestions? there is one workshare and a sliding scale option-you must contact me directly to access those! if you are thinking about signing up, now is a good time. of course, you can still get herbs without joining the csa at our regular weekly vegetable pickup and by appointment on the farm or special order at wild hive farm. 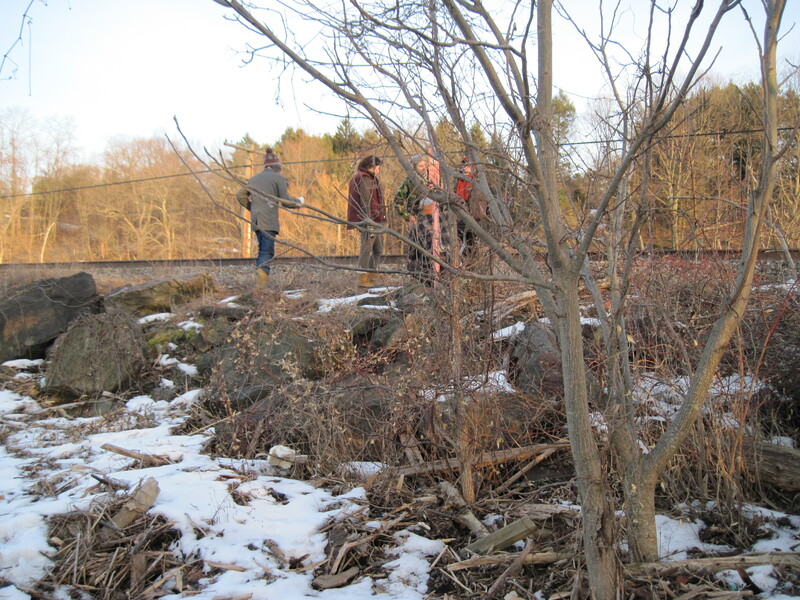 Next 2010 medicinal herb csa is now accepting members! hey there! i love following what y’all do in your part of the world. i’m working on starting a medicinal herb cooperative this year and i need some wisdom to shape my ideas around. i’d love to hear more about how you all got started. would you be interested in sharing? i’d be happy to talk about it-go ahead and send me your questions at fellowworkersfarm@gmail.com.